IRISH WATER WILL spend just under €86 million on consultants, contractors and legal advice as part of an overall budget of up to €180 million to establish itself, the Oireachtas Environment Committee heard today. In its written submission to the committee today, the new State utility disclosed that computer giant IBM will receive €44.8 million, Accenture will receive €17.2 million, Ernst & Young will receive €4.6 million and KPMG will get €2.2 million. Another €13.3 million will go to 18 other contractors who were procured “to support the work” of the major providers. As well as this, Irish Water will pay nearly €4 million on the procurement of legal services with €970,000 being spent with McCann Fitzgerald and €2.9 million with A&L Goodbody. This means that in total €85.97 million will be spent on consultancy, contractors, and legal advice as part of an overall budget of €150 million that has been allocated to set up Irish Water between April 2012 and April 2015. There is also a contingency fund of €30 million. Irish Water’s submissions said that “the full programme, associated work scope and full costs” were presented to the Department of Environment and New ERA in September 2012. “We did not bring in experts to tell us how to build Irish Water; we brought in contractors to help us build the systems and processes necessary to run the business,” John Tierney told the committee today. Tierney also argued that these systems will enable Irish Water to deliver a minimum of €2 billion worth of savings for the exchequer by 2021 and provide the Irish people “with a fit for purpose water system”. 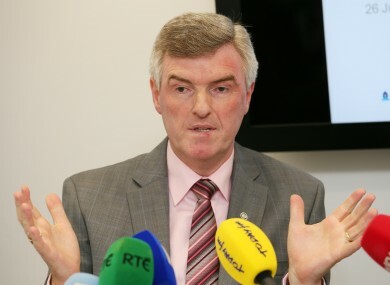 In outlining the rationale for the spending, the submission said that five major utility information systems have had to be setup as part of the establishment of Irish Water, including a customer care and billing system, work and asset management system, a financial system, a procurement system and a capital project management system. “In order to then design and implement these systems to the specifications set out by Bord Gais, we engaged external service providers through a competitive procurement process,” the submission stated. Tierney will said the use of such expertise is “standard practice”. The submission stated that the main scope of the external work went out to public tender in nine lots with “fixed price, lump sum contracts” to deliver the project. “The contracts are fixed price contracts. Payments are linked to milestones and are paid on successful delivery of value to Irish Water in the form of specified deliverables,” the submission said. The submission also highlightec spending by other water utility bodies including a number in the UK, saying that Severn Trent Water expects to spend over £100 million to upgrade its systems, Yorkshire Water has budget for £110 million on IT systems over five years, while Thames Water has installed a new system at a cost of £150 million. Email “Irish Water will spend nearly €86 million on consultants, contractors and legal advice”. Feedback on “Irish Water will spend nearly €86 million on consultants, contractors and legal advice”.